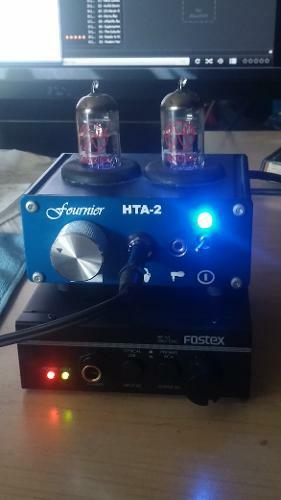 Fournier HTA-2 is a hand built tube hybrid headphone amplifier, they were hand built in the U.S.A and sold on ebay for roughly 200$. They were reviewed with high regard and considered to punch above their price range. Hands down, even with it's few flaws, one of the most enjoyable listening experiences. 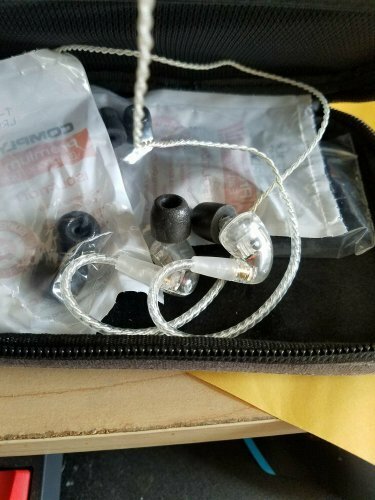 I recently sold off my Schiit Vali in preparation for an HD600 headphone. Which I have heard that the HD600 sounds fantastic with the Vali, so while getting the HD600s I had just received this amp, the Fournier HTA-2, and had paired it with the DT880s which all I can say is.....awesome just awesome. I will be frank this amp is not perfect but for sub 200$ this amp has given me the most enjoyable and rich listening experience to date. From what I have read this amp came out a couple years ago, was designed, hand built, and sold by a seller on ebay. 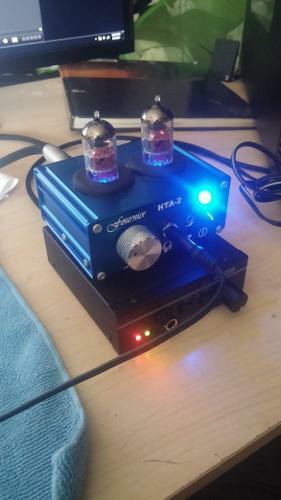 The HTA-1 was received very well from the community on Head-fi and elsewhere, with the small dissatisfaction when using the amp with low impedance headphones and IEMs. 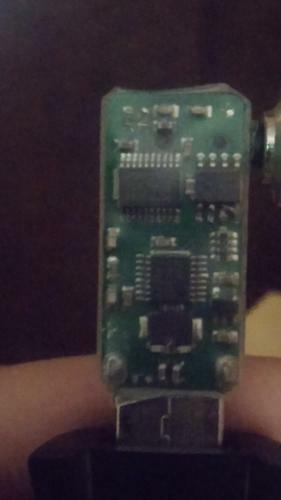 That is when the seller and designer of the Fourneir decided to make the HTA-2 where he implemented having a 3.5mm headphone jack on top of the 6.3mm. 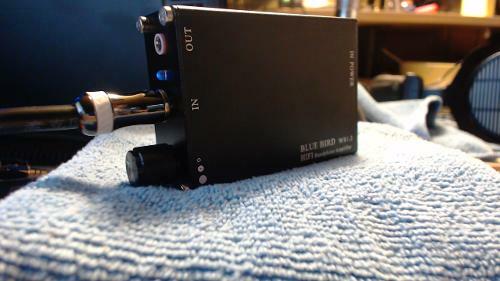 The 3.5mm being for lower impedances and making the amp much more versatile, and the fact that the sound quality alone would be enough for me to buy this for 200$. Now you add the ability to drive IEM without an abundant amount of noise and this is a real hidden gem. I will through the basics with this amp being its build quality/design/features, sound quality, and then comparing it to a couple over amps. These are a couple pictures of the Fostex HP-A3 DAC/amp with the Fournier Stacked on top looking fantastic and king-like all in the same. Now we get to the more important of the two sound quality I will break it down as best as I can, being that I am still relatively newer with reviewing audio gear compared to some of the veterans. So, I will do the best that I can in giving descriptive experiences and opinions. Please do note that this entire review is subjective and I do not have the testing gear to give a more objective results and or review. They are not boomy and have decent control, they do not have extreme amounts of detail but they do have a solid amount to where there is a balance of detail and warmth. I do think it could have a bit more impact with some genres and tracks but it is in no way meek. Is solid not as intimate and engaging as mids but at least on par with the lows and perhaps maybe a bit more detail with a nice smoothness, but not overly smooth like some tubes. This just take a bit of the harshness from a low resolution recorded track that may of been too bright with the DT 880s. Is has good extension but I do think it is lack when compared to something the like the Matrix M-stage. I honestly am not unhappy with any of the ranges, they all sound good with mid range being the money maker with this unit, yet the other two do not fall too far behind. You would really only be able to tell if you like the amp by listening to it with you own phones and source of course, but honestly I do not see many people not having a liking for this amp. It would be a good hybrid to get if you are going over from strictly using solid state amps, because this amp have a solid state sound to with the presentation of a tube amp being that it feels life like. Some of the comparisons I did that I had that were on hand was between the Fournier and the Fostex's integrated amp, the Schiit Vali hybrid, and finally the solid state Matrix M-Stage. they were tested with the Fostex HP-A3 DAC section, along with using 16bit-24bit and 44.1-96khz resolution tracks from Media monkey and Foobar2000. 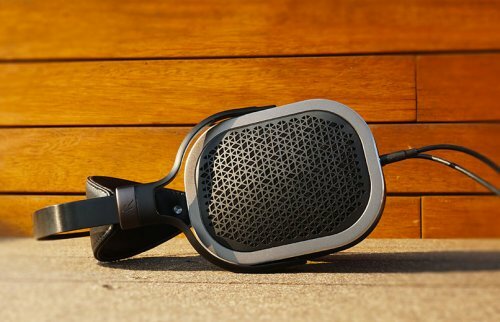 Headphones being used was the DT880, 990, and Finally the HD600. Okay hands down the HTA-2 was more enjoyable, with it's bit of warmth, fuller bass yet still a soid amount of control. Now the HP-A3 has fantastic control and tightness in the lows, but what it is lacking is a fullness and impact there is not enough weight behind it. This making the Hp-A3 a great match for headphones with heavy and impactful bass to the point where it helps tighten them up and the HD600s did sound great with rock and progressive tracks out of the HP-A3. In comparison to the HTA-2 and HD600s just felt like they had better synergy with the lush mids and detail given with the HD600...taking the HD600's mids to a whole new lvl of enjoyment. I would say the HP-A3 can be a good amp for particular headphones, but it is either a hit or miss, but it is a decent amp really, for an all in one unit it is one of best for 300$ tag imo. Now, the HTA-2 sounds fantastic with all three headphones detail and clarity, yest smoother and more lush. Both of these amps are very easy to listen to, especially with the three headphones I had used for the comparisons because they sound great with all the headphones used. I will say that I feel the Vali si a bit warmer than the HTA-2, and maybe a bit smoother as well. I think when coming down to detail and depth the HTA-2 wins. The Vali is also price 50-60 $ less than the Fournier when both are bought new. Even so I let go of my Vali after getting this due to the realism and detail when listening from the DT880s. I do not regret nor really miss the Vali, which I liked very much, it is just worth the difference in price to buy the HTA-2. Now the M-stage goes for about 50 dollars more sometimes more, depending on the source, than the HTA-2. I think that the HTA-2 is it's equal though, but not in normal terms. The sound stage on the M-stage is really nice and wide but not as deep as the HTA--2. Detail retrieval goes to the M-stage again there is more detail with the subtle things in the songs. Whether it be the touching of a string before the note is strummed, or something like precise drums where you hear every pit and patter. The M-stage shines with these things, but as midrange belongs to the HTA-2 and I believe that if I could make a perfect amp, it would be the combining of the separation, detail, wide staging, and character of the M-stage an d blending it with the intimacy and deeper texture of the HTA-2...man that would be like a dream to my ears to hear that with the HD600s. I will be editing this particular comparison between the two because I about receive some 1950's 12AU7 RCA tubes tomorrow. 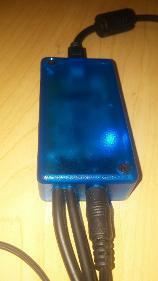 I will be also receiving some upgrade for the M-stage to dabble in opamp options. I will find out if they sound too close to the same as before. I will have to find out. Overall this amp has given me such an exciting time listening to music, to the point of wanting and actually listening to all the music files of FLACs I have on my pc all over again. Just to see if I noticed an improvement in quality. I really think that it is a huge shame, and I wish that they would make an HTA-3 or maybe a portable hybrid amp would be a nice addition. Still, if you can find one of these used for a good price I highly suggest buying one especially if you have a DT series headphone or HD600 and or 650. You will not be disappointed.